Lighten the load. Widen the footstep. Step out beyond the usual comfort zone. Sometimes going back to go forward. Sitting in meditation, this morning the discomfort of this churned in belly. I sat with it. Breathe in. Breathe out, one. Breathe in. Breathe out, two. I listen to my gut. I tremble both in fear and excitement. It is time. I feel this deep to the very core. Time to move away from the same old used to be. This sameness of the past five-six-seven years ~ the years of building a safety net at first comforting now enmesh me, feel constrictive and unyielding. The false sense of security begins to strangle like a safety line slowly tightening. Tentatively emerging from a cocoon, not yet sure of wing span or ability to fly but with the sense of leap or fly, I must. 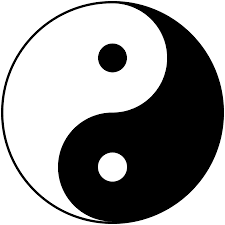 A cycle comes to an end, another slowly, indiscernable at first like the tail of yin or yang, growing to finally emerge into it’s own fullness. I am reminded of a verse from Lorin Roche’s “The Radiant Sutras”. Then surrenders to flow out again. In this moment, drink eternity. Pulsating between fullness and emptiness. And here, now. As I fondle the possessions, the memories, some loved, some weathered beyond recognition, one by one, turn them over in my hand/mind. This to pass on, this to keep, this to trash. Let go. Over and over again, I am reminded, it is always a letting go.